I just gave away too much information about how my brain works didn’t I? 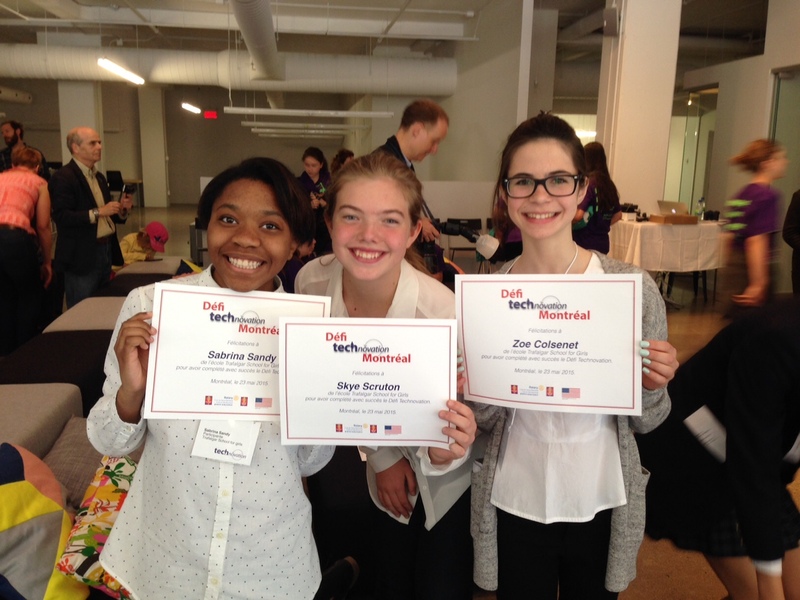 This year Traf participated in the International Technovation Challenge a competition to empower girls to get more involved in creating rather than simply using technology. The challenge was to create a prototype of an app that would benefit the community. 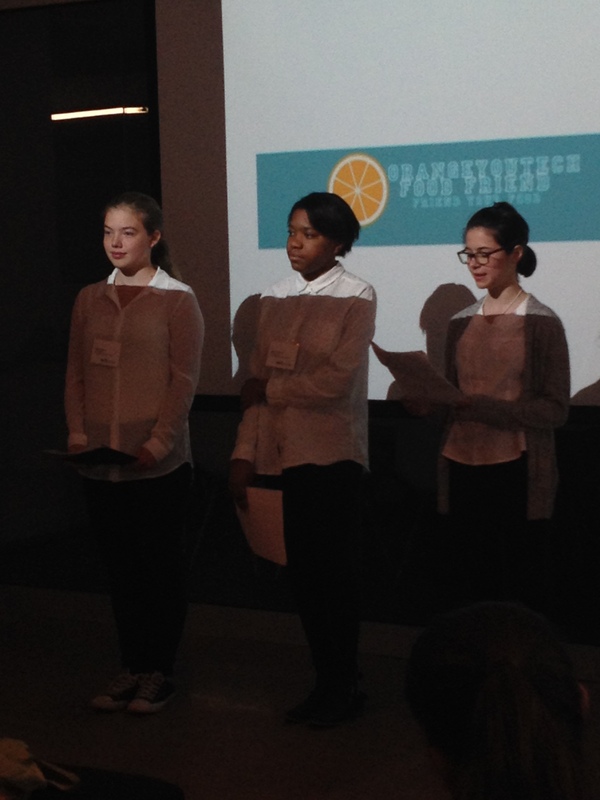 The students then needed to create a business plan for their app,an elevator pitch, a pitch video, and a demo video as well as the source code for their app. As you can imagine, it was a lot of work- we met several times a week, sometimes even on a Saturday. 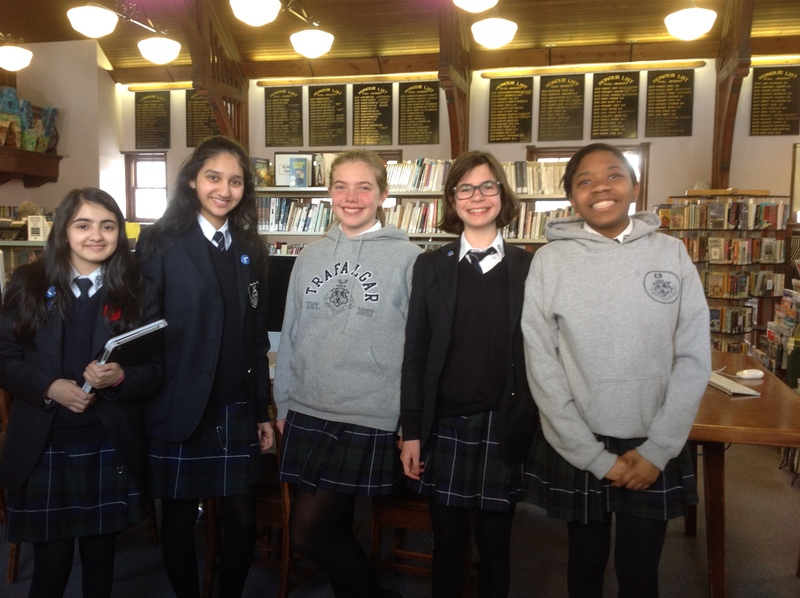 The girls coded their little hearts out at home and we all learned a lot – not only about how to program but about what it takes to put together a business plan. It was a great experience and I hope to do it again next year! Think a doughnut or a cupcake is a healthy snack? Do you hate counting calories? Tired of complicated food logs? Then Food Friend is for you! Record your daily meals, sit back, and let our app tell you what you’re missing for a balanced diet. Don’t let a number define you. Friends don’t judge, they encourage. Food Friend doesn’t believe in calorie counting, just in helping you along your way to your healthiest self. Food Friend offers healthy recipes, fun tips and supportive badges for your health achievements! Friend your food. It will friend you back. I saw this app right after getting out of a meeting about a potential Maker Space in our school. I have been thinking about getting a Sphero for the library- now I have the app that will help program it! You can also program a parrot minidrone, Philips Hue (which apparently is personal wireless lighting- who knew?) or make your own video game. A friend of mine shared this article and I gotta say, I had one of those forehead-slapping Bart Simpson moments. Now see if you can guess what happened in the mid-80s to plummet the upward trend of women in computer science… It is so simple and horrifying it will make you want to tear out your hair. 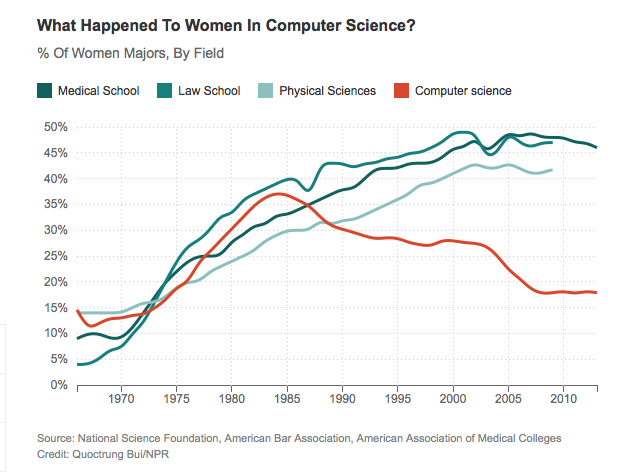 For decades, the share of women majoring in computer science was rising. Then, in the 1980s, something changed.